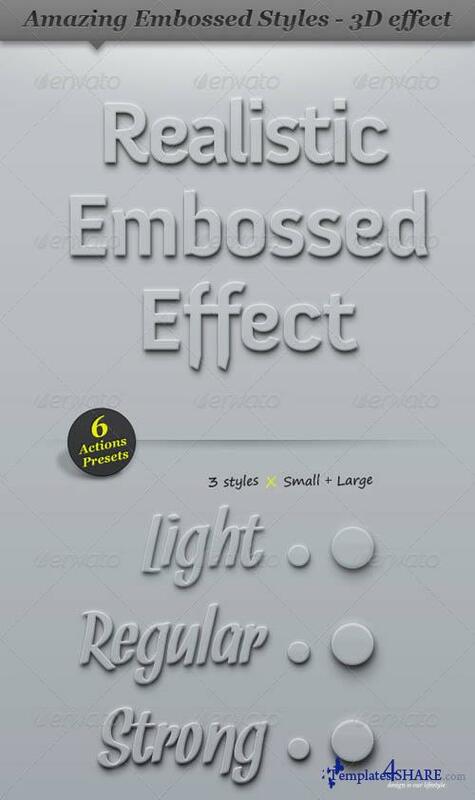 This item includes set of 6 Action embossed Photoshop styles - which makes the object raised up from the background. Each effect is built out of 3 layers. You can work directly with the provided PSD file or you can go with the 1 click Action panel.